On December 16, residents at McPeak's Assisted Living were joined by their loved ones during McPeak's Christmas party. Residents and their family members were served a delicious lunch and enjoyed live musical entertainment. James McPeak, Owner, McPeak's Assisted Living, offered a champagne toast to wish everyone a happy holiday season. 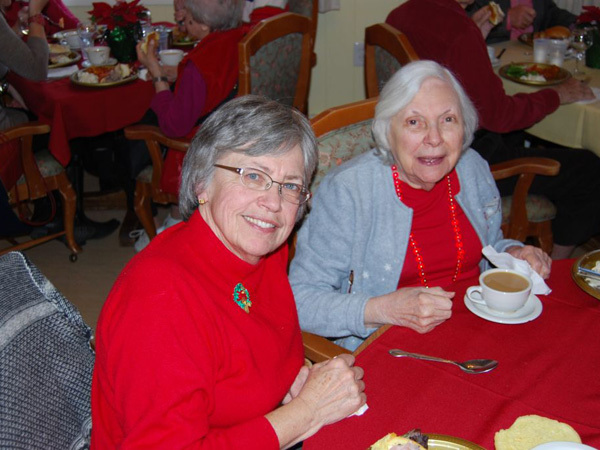 McPeak's Assisted Living resident Ruth Faustich (right) is joined by her daughter Lynn Spitznagel (left) during McPeak's Christmas party on December 16.